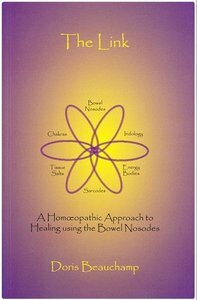 A programme to detoxify the body using the Bowel Nosodes and related remedies is found at the back of the book too. This can be the constitutional remedy, or a low potency combination, as well as Tissue Salts or Flower Essences (of which only the Bach Flowers are in this volume, as there are too many these days to mention them all). Doris Beauchamp LCH, MARH has experienced Homoeopathic treatment ever since she was a small child, growing up in Germany, where the use of remedies is wildly spread. Therefore, the effectiveness of the remedies was never questioned, only the knowledge of the Philosophy and seeing the bigger picture needed to be acquired. Graduation of the first course was in 1997, many more followed, like the Guild Course of Homoeopathy, Iridology and attending workshops in England as well as in Germany. With great enthusiasm is the collected information now shared at lectures with students and colleagues, or often with the general public too as they should hear what can be achieved with Homoeopathy.